On the 2nd floor located 4-room apartment of approx . : 120 m2. Layout: closed porch with mailboxes and doorbells, elevator / stairs to the 2nd floor. Entrance house, spacious hall with video intercom and separate toilet with fountain, side room of approx. 11 m2, spacious living room with annexed side room of approx. 35 m2, spacious 1st bedroom of approx. 22m2 with access to the rear balcony, luxury separate kitchen with of fridge / freezer, dishwasher, oven, gas hob, extractor and washer-dryer, 2nd bedroom of approx. 17 m2, 3rd bedroom of approx. 10m2, very luxurious bathroom with bath with shower, 2nd toilet and washbasin. Storage and common bicycle storage in the basement. 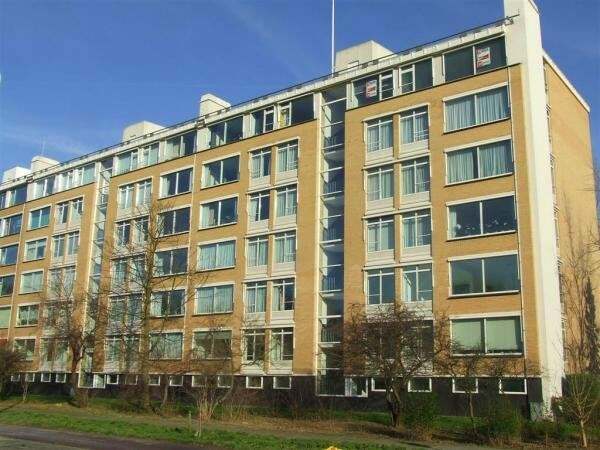 The property is located near various shops (shopping center Alphons Diepenbrockhof), public transport (tram 3) and the stand of Kijkduin. Rent is excluding utilities and including an advance payment of € 250.00 service costs and heating costs. Additional costs: advance heating costs: € 125.00 and advance service costs: € 125.00.